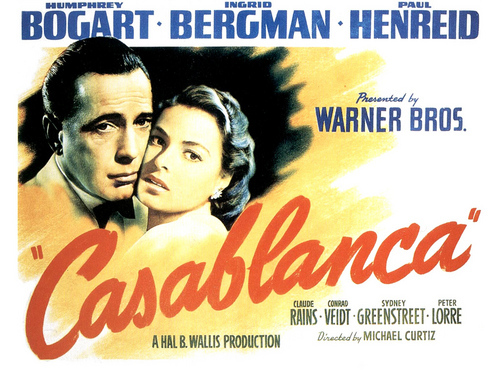 Casablanca wallpaper. Humphrey Bogart and Ingrid Bergman in Casablanca.. HD Wallpaper and background images in the filmes clássicos club tagged: humphrey bogart ingrid bergman casablanca classic movies wallpaper. The beautiful Ingrid,And this is true romance ! (personally i say forget the romance don't dilly dally,get down to business! )Only joking i am a softy at heart! I cant tell you are :) A good romance is just the best!